BRAZIL, Ind. 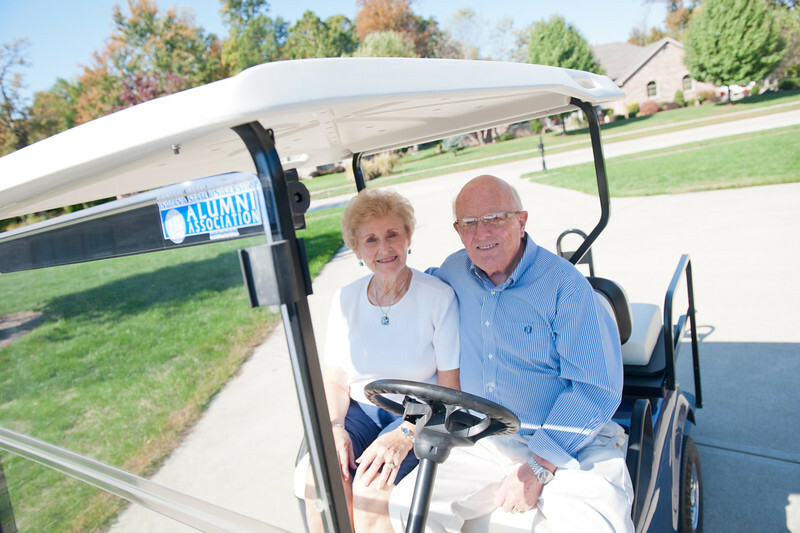 - In the evening, Maurice ("Mauri") and Janice Modesitt roll out of their garage sporting their pride in Indiana State University. They cruise their neighborhood, through the nearby golf course and over to Forest Park. Along the way, they stop and visit with their neighbors and friends. "They say we know where you're from," Janice said with a laugh. She's one who convinced the golf cart company to replace the beige roof and seats with white to go with the royal blue paint. "They'll see us and say, ‘Well, I'm not surprised,'" Mauri added. In case anyone missed the significance of the blue and white cart, ISU stickers make it clear that their devotion lies with the Sycamores. "We appreciate what Indiana State has given us, as I hope you can hear in our story," Mauri said. "It has given us the opportunity to do what we have done and to have a happy time doing it." Mauri grew up in Cory and was the first in his farming family to enroll at Indiana State. There, professors guided him into what would be his life-long work. "This is why I am so appreciative," Mauri said. "A couple of really kind, caring professors saw potential in me, but not in the area I was in and they took me aside." They suggested he become an elementary teacher and he enrolled in those classes. "And it just went from there," he said. "Every year it got better and better academically." He also excelled athletically and lettered in tennis. A large photo of him graced the old ISU gymnasium until that building burned in 1984. After he graduated from ISU in 1958, he taught fifth grade in Brazil for a year before the Air Force called up his weather team to active duty. A year later, Mauri returned to teaching fifth and sixth grade in Brazil and working on his master's degree in education. Soon Mauri would reconnect with a woman who would "keep him hopping to a tune." 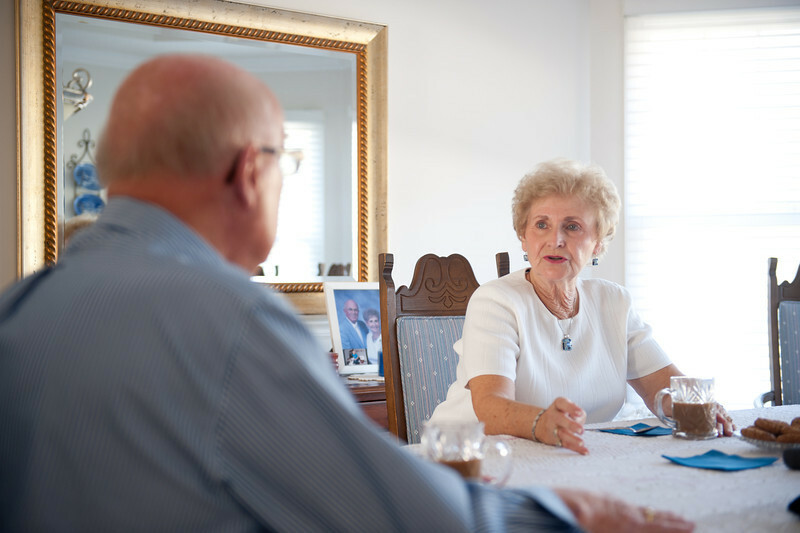 Janice grew up in Center Point and attended Ashboro High School. From when she was 4 years old visiting her dying mother at Clay County Hospital, she knew she wanted to be a nurse. "I had to climb on boxes to get up to the beds, they were so high," she said. "And the nurses came in white and I just thought they were the neatest looking people and caring people. I decided right then I wanted to be like them, never changed my mind at all." When she graduated from high school, she enrolled in Union Hospital's nursing program, which included classes at Indiana State. She graduated from the program in 1960. One evening as Janice sat with friends at the Eat-a-teria, which was located at 25th and Wabash, Mauri came in to grab some food after a graduate class. Janice, who cheered for Ashboro, knew Mauri from his basketball playing days at Corey. "He was a very good basketball player," Janice said. "He wasn't interested in girls. He was interested in basketball." "I spoke to her and then I called her and from then on it was history as they say," Mauri said. But a decision had to be made. Janice had just finished her final interview with Trans World Airlines to be a stewardess. In addition to meeting height and weight requirements, stewardesses also had to have some college education or to be nurses. They also had to be single. 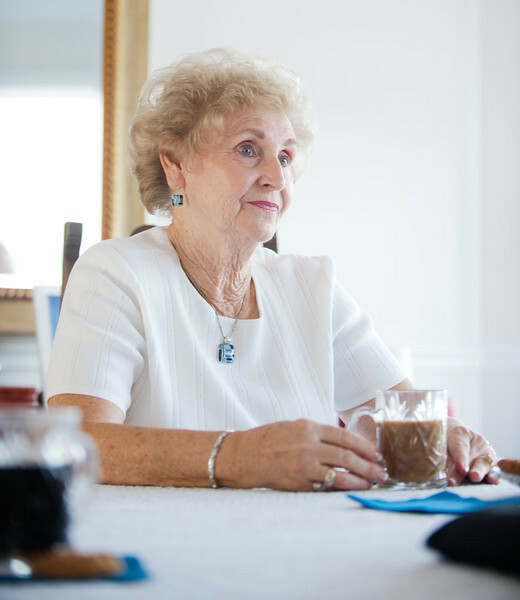 The airline company had scheduled Janice to start in September 1960, but then Mauri called. "We were dating and she asked me would I still be here if she did her stewardess deal for two years," Mauri said. "I wanted to do it for at least two years," Janice said. "And, you know, honestly, I said, I don't know if I'd still be," Mauri said. Janice came to a decision. "I decided I would rather have him than be an airline stewardess," she said. They were married Christmas Eve 1960. In the years since, Janice worked as a nurse while Mauri taught and then became a principal at Meridian Elementary in Brazil. They raised their three daughters - Michelle, Marci and Marla. Then John Newton, emeritus vice president for alumni affairs and constituent relations, asked the couple to once again become involved at ISU. They became involved in the Clay County Alumni Club. 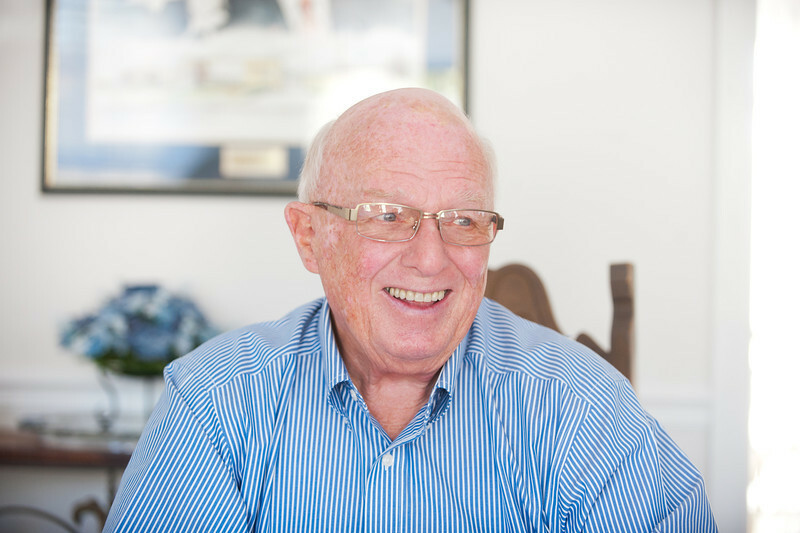 Mauri served on the ISU Alumni Association Board of Directors, including a stint as president of the board in 1993. Then in 1994 - after he retired as a principal - he spent one year as the interim director of alumni affairs. "Middle class people can do a lot if they want to; it's not just the domain of the wealthy," said Newton. "We all have things we can share. It may be talent. It may be time. It may be money. The Modesitts have shared all three with us." In 2010, Mauri received the first John P. Newton Spirit of ISU Award, which is given by the Indiana State University Foundation to a person who exemplifies dedication and service. Newton said the selection of his long-time good friend made him "feel good." "He and Janice are so generous, but the award is not based on money," Newton said. "It's based on service and his love for Indiana State." 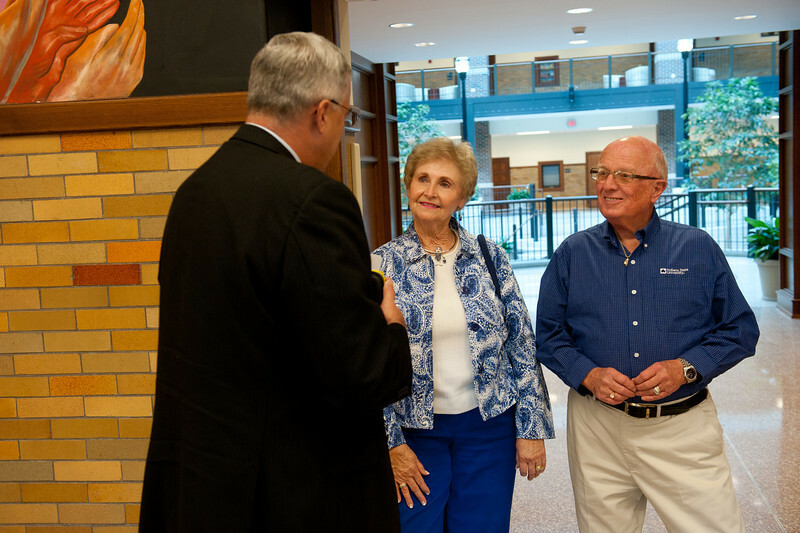 The couple has attended numerous homecomings, reconnecting with friends met through the years, as well as the past 20 Distinguished Alumni Award banquets. Mauri continues to serve on the Bayh College of Education Congress as the alumni representative. "Mauri and Janice exemplify Sycamore Pride. Students are at the heart of their efforts to make a difference at ISU," said Bayh College of Education Dean Brad Balch. "Whether it is scholarship support, alumni club involvement or service to the college, their contributions clearly impact our students in so many positive ways. 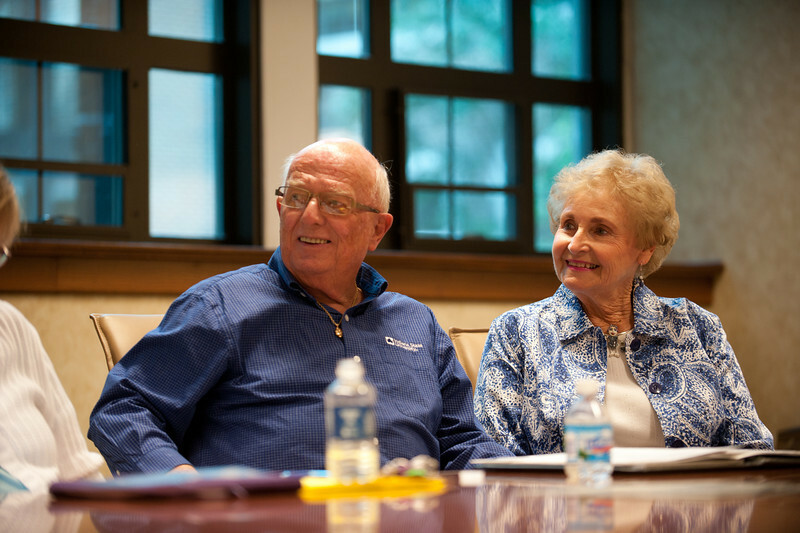 I am proud to say that the college is stronger because of Mauri and Janice Modesitt." Through those years they often donated money to scholarships, including one set up in Newton's name when he retired. However, they decided to do more. They recently established scholarships in nursing and education. "All three of our girls have gone to college and we realized the burden parents have of getting their children through school today," Mauri said. "Why wait until you die?" "You're not going to take it with you," Janice said. "You came into this world with nothing and you're going to leave with nothing. What you have, give it to someone who deserves and needs it." As a third generation Indiana State student, Carlee Bell, a sophomore from Brazil, said she is proud to continue the legacy started by her grandparents and parents. She also plans to follow her grandmother into the nursing field. "I think it's great that my grandparents are able to contribute to nursing and educational scholarships to help others. Helping others has been their life goals so to continue that through scholarships, makes me very proud," Bell said. "I have learned from them to make goals for your life, reach for those goals and attain those goals. Be happy and share that with others!" To apply for the education scholarship, students must be master's level and working toward a K-12 administrator's position. First preference will be given to male students from Clay County, Ind., in an effort to address the decline in the number of men entering K-12 education. "We need so many more men in elementary," Mauri said, adding that an estimated 45 percent of children do not have fathers in their homes. "I see what I think is a need, especially for young boys today, to have a father image, if you please. Where are they going to get it? YMCA or Big Brother, but 180 days a year they can get it in a classroom with a man teacher. That is why we established what we did on the educational side. We're just concerned about the future, young kids and who's raising them or educating them." They established the nursing scholarship to help bring more nurses into the field. "They just need a lot of nurses, I think, in the community," Janice said. "There are a lot of things in healthcare you can do once you get that degree now in nursing. You can go umpteen different ways, there are so many specialties anymore. It just will take you lots of places." Biff Williams, College of Nursing, Health, and Human Services dean, described the Modesitts as greats friends to the nursing program. "Their annual scholarship provides the opportunity for a student from Clay County Indiana to realize their dream of becoming a nurse," he said. "Their generosity in providing an education to a health care professional will bless the lives of many." Carly Pell, a sophomore nursing major from Brazil, has been the recipient of that generosity for the past two years. "Receiving this scholarship meant that I had just a little less stress about being in debt from college loans. It made it possible for me to afford to be admitted to the ISU School of Nursing," Pell said. "This scholarship was a lifesaver for me, this year especially. I had $900 worth of unexpected clinical fees, and the Modesitt scholarship covered a good portion of that cost." She hopes her education leads her to position in Union Hospital's neonatal intensive care unit (NICU) or obstetrics. "I think that they are very generous people who are willing to help younger generations to succeed," Pell said about the Modesitts. Mauri and Janice Modesitt like to display their Sycamore pride and they're helping future generations take pride in ISU too.